When real estate investors apply for a loan to cover the finances on the investment property they are interested in, they will need to have an appraisal done on the property before the agreed-upon loan amount can be finalized. An appraisal is based on the hypothetical condition of what the property will be worth once all renovations are completed. This is also known as the after repair value (ARV). The appraiser will look at comparables in the area, and value your property’s post-rehab condition against these other homes. Investors want to know how much their investment is worth in order to know what price to sell it for later, and lenders want to know the value of the property in order to know how much money to provide for the loan. Your lender will request from you a detailed and itemized list, known as a scope of work (SOW), that will give a complete overview of all fixes, changes, upgrades, and remodeling you plan to do with the property. It will also outline what types of materials and supplies you will be using and how much each are estimated to cost. Your lender will then send an appraiser out to walk the property, both inside and out, and assess the condition and what renovations you expect to make in addition to what renovations they feel should be completed. They do this to ensure that the SOW budget is accurately reflective of what the property’s condition will be after repairs are done. This is where the debate often starts between owner and appraiser over the value of the home. It happens all too often where the investor will estimate the ARV to be one amount, typically higher, and the appraiser will estimate it to be lower based on their assessment. If you disagree, you are going to have to prove to them why you feel the value should be more. Unfortunately, this only slows down the loan process and may complicate things. 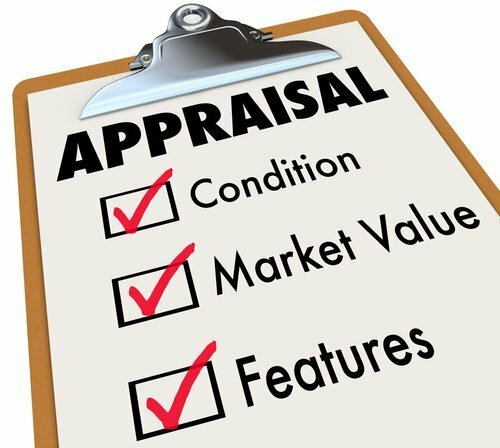 In order to help you achieve a more accurate appraisal value, here are some important steps you can take so the appraisal process can go quicker and smoother. Imagine you are trying to paint a picture for your appraiser of what your investment property will look like after all construction is completed. If you are attempting to show them why you feel your property is worth more, be as detailed and specific as possible in your scope of work. i. Exterior: Start with the outside and work your way in. If you are replacing the roof, indicate whether it will be shingle, tile, or metal. Specify whether you are painting the exterior of the house or repaving the driveway. Are the windows being fixed up or changed altogether, and if so, are they going to be stormproof, sound-reducing, or just regular windows? All of this can have a major impact on value. ii. Kitchen: Kitchens are usually one of the first rooms to be remodeled in a fix and flip property. Your appraiser will want to know what type of materials the cabinets will be made of. Will you go high-end and have thermofoil cabinets or custom, or just the basic hardwood? What types of counters are you putting in? Explain whether you are going with Formica, granite, quartz, or marble. Is there going to be a backsplash and will it be subway tiles, porcelain, or natural stone? What kinds of appliances are you installing? Are you going with a less expensive standard white series or a higher-end premium stainless steel? iii. Bathrooms: The bathroom is the second room that will probably encounter the most changes. Make it clear whether you plan to do just basic changes or if you are completely gutting the bathroom down to the studs. Are you replacing the sink, vanity, toilet, tub or shower? Are you painting the room or re-tiling? What types of floors are you using: ceramic, travertine, porcelain? Even things like the plumbing fixtures’ materials should be noted in your report. iv. Flooring: The types of flooring you plan to use also will affect your appraiser’s valuation of your property. Will you go with something less expensive like carpet or vinyl? Perhaps you prefer ceramic tile and laminates or porcelain and hardwood. If you are going with a more expensive rehab, maybe your choice is high-end materials like marble or travertine. Where being as detailed as possible with your plans for the property is essential, making sure your scope of work is complete is also necessary. Don’t omit items that are in need of repair, replacement or renovation. The appraiser will be analyzing your budget for completeness and reasonableness. Omitted items will result in the appraiser having to estimate the additional costs of the needed repairs which will increase the budget amount and impact the loan to value ratio and subsequently delay the valuation and loan approval process. Don’t fluff or lowball the numbers. Take the market into account when doing renovations to ensure you aren’t over-improving or under-improving the property based on the current local market conditions. Whether you are overestimating or underestimating your repair value, your appraiser will determine based on the local comps what your property is worth. This is why it is important for the investor to know their market and understand what the home is really valued at before beginning renovations. Whether you are a first-time investor or a seasoned pro, it is necessary to provide accurate information in your appraisal documents for your fix and flip project. Failure to do so will ultimately slow down your final appraisal value and your lender’s ability to settle on a loan amount before providing your funding. Be detailed, thorough, and exact with your scope of work when looking to achieve a more accurate appraisal, so you can start fixing and flipping faster and for more profit.